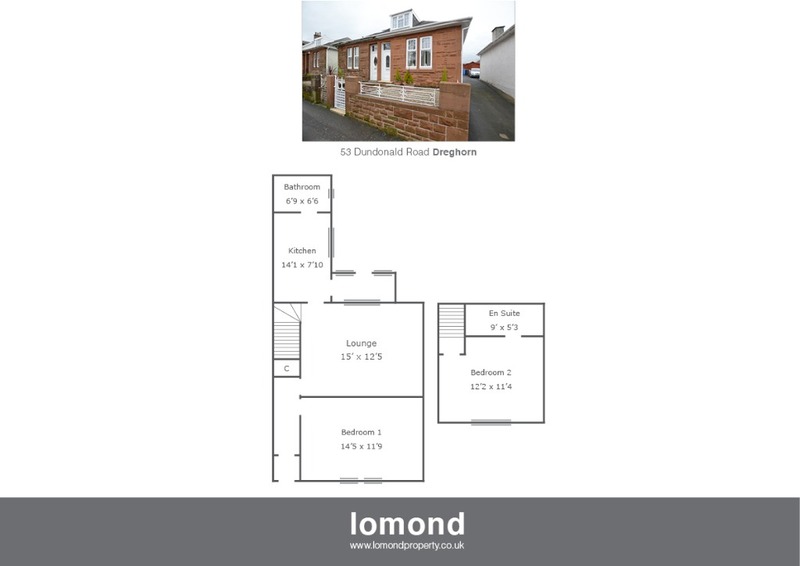 Situated in the popular village of Dreghorn, brought to the market in truly walk in condition, 53 Dundonald Road is a wonderful semi detached bungalow (over two levels) offering excellent room sizes throughout. The property boasts two double bedrooms (one with en suite), lounge, recently fitted kitchen, and stylish bathroom. The property benefits further from off street parking, summer house and laundry room to the rear. In summary the property layout extends to an entrance vestibule leading to the welcoming hallway. The lounge oozes style, and comes with hidden study/computer room (behind the wall mounted TV). To the rear of the property the kitchen is a recent upgrade and comes well stocked with modern floor and wall mounted units, integrated microwave, gas hob, oven and hood. The family bathroom is again well presented and comes with bath, electric over shower, WC and WHB, all finished to modern neutral tiling. The upper level houses a further bedroom with en suite shower room and WC. Externally the property has grounds to the front and rear. There is a shared driveway leading to a private driveway, with summer house. The laundry room is to the rear of the property and comes fully plumbed for washing machine and dryer. The property benefits from gas central heating and double glazing, and an electric charging point for an electric car. Dundonald Road is a pleasant residential area. Irvine town is close by and provides access to a range of amenities including supermarkets, bars, restaurants and town centre shopping. There are a number of local primary and secondary schools within the greater Irvine area.